Once again, Ian Carter and Nicola Kearey of Stick In The Wheel took up their recording equipment and ventured to new places within England, both physically and metaphorically. 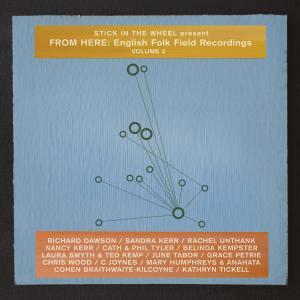 Asking folk and traditional musicians what 'From Here' meant to them: this impulse to make music  From Here  where does it come from? What does it mean to be making this music in 2019, using the framework of English traditional music and culture? England is divided, and we may well look to the past to make sense of the future - in such times of chaos and political uncertainty, these are timely questions. 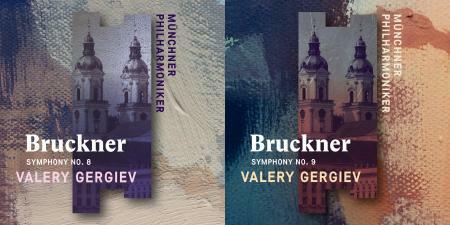 The Münchner Philharmoniker have arguably given more performances of Anton Bruckner’s music than any other orchestra. A great number of Bruckner recordings led by the many legendary conductors that have worked for and with the Münchner Philharmoniker are stored in the historical archive of the MPHIL Label including magnificent pieces with Sergiu Celibidache, Christian Thielemann, Rudolf Kempe, Günter Wand and Oswald Kabasta. 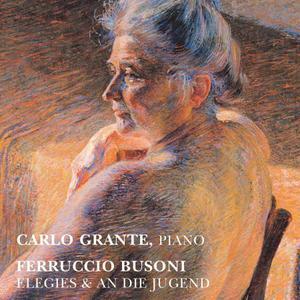 Ferruccio Busoni’s Elegies (1908) and An die Jugend (1909) are experimental pieces that explore new pathways in the composer’s harmonic language and artistic evolution. Elegies is an aesthetic manifesto, a wish for a turning point in the composer’s creative evolution, but also, more ambitiously, in all future music. Ferruccio Busoni believed that music should be, as he commented to the critic and composer Hans Pfitzner, “well meant and full of peace,” but this did not preclude the provocative gesture of the Elegies’ exceptional harmonic variety, brought about by new chordal progressions and juxtapositions and giving an impression of a potentially inexhaustible tonality. An die Jugend is a collection of four pieces written in 1909 and published as four separate ‘books’ in the same year. These pieces have some stylistic features with Busoni’s first Elegy, while showing even further experimentation on the composer’s part. Carlo Grante performs these works on a Bösendorfer Imperial Grand Piano. 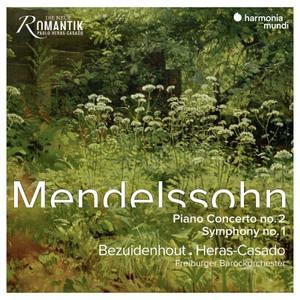 Mendelssohn’s first symphonic work scored for full orchestra, the Symphony op. 11 in C minor paved the way for even greater examples of the genre he was soon to produce. The concert overture Die schöne Melusine and the sparkling Piano Concerto No. 2 rely on the type of orchestration and harmonic language which are best served when played on period instruments, as heard here. Devoid of the atmosphere of Romantic doom and gloom, nearly every page of both scores is marked by an exuberant cheerfulness, youthful drive, and irrepressible energy. The concert repertoire can be viewed as an ocean into which two distinct rivers flow. One carries music works inspired first and foremost by emotions. The ancient Greeks believed that music was born out of despair; the cries of Medusa in the face of imminent death inspired Athene to play moving tunes on her aulos. In most cases, it is the feeling of nostalgia, sadness, even despair that provides impulses for music composition. 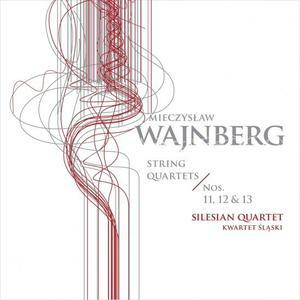 Wajnberg’s string quartets presented on this album clearly belong to this emotional current in music – especially the Eleventh and the Thirteenth. But ancient Greeks also told the story of Hermes finding the shell of a dried tortoise with a few tense sinews still left. When plucked, they produced sounds, which inspired the god to build a lyre. Here we come to the second river of repertoire – pieces of music born out of curiosity. Danças Ocultas are four accordionsts from Agueda near Porto who are among the most innovative and most exciting representatives of contemporary Portuguese music. For some years now they have been rising on the international world music scene – with an apparently very simple concept: quiet, lyrical, more or less traditional, with only four diatonic accordions. 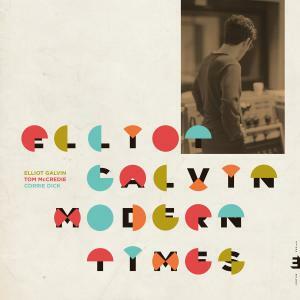 Modern Times is the most stripped back, honest and representative album by Elliot Galvin yet, reaffirming his formidable growing reputation as a true original. A quiet protest against the overproduced, changing world we live in, Modern Times recaptures the beauty and magic of recorded sound, made using a technique not widely used since the pre-tape technology of the 1930’s. In every sense this is a classic album. THE FOURTH ALBUM OF THE BRITISH JAZZ PIANIST! 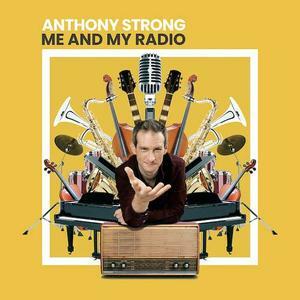 In his 10-year career, 4 albums and more than 300 concerts, British pianist Anthony Strong has earned a reputation as a charismatic singer, swing pianist and, above all, an accomplished performer. His new album, Me And My Radio, delivers his vision of a 21st century mixtape: a collection of classics, old and new, carefully chosen for those who share his love for great music, whatever his style. He plays Louis Armstrong's famous jazz, blues, and soul songs such as Charlie Chaplin, Ella Fitzgerald, Stevie Wonder and Johnny Cash. And among these jewels are some of his original songs that could easily have come from a bygone era. If the directory is deliberately vintage, its treatment is certainly refreshing. Ranging from intimate performance to big band and orchestra, this disc is filled with color, warmth and character. With its British charm, intelligent arrangements and handpicked repertoire, it's definitely an album that warms the heart. The American South casts a powerful spell. The sons and daughters of those deep states might stray from their hometowns, make their fortunes and families overseas. But wherever they roam, the South is there under their skin – and one day it will call them home. 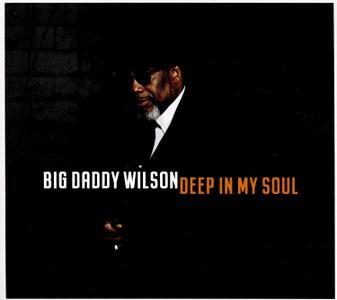 So it was with Deep In My Soul: the album that lured Big Daddy Wilson from his base in Europe back to the US motherland. “It was like a homecoming,” he says. “To take it back home like this, back to my roots, was very sweet and special.” All songs written by Wilson Blount, published by Little Big Beat Musikverlag/GEMA aka Bad Love Music/BMI. Recorded at Bessie Blue Studios in Stantonville, TN in December 2018. Cage The Elephant have announced their new album, ‘Social Cues’, and shared the video for ‘Ready To Let Go’, the first single to be taken from it. The band’s fifth studio album was produced by John Hill (Florence + The Machine, Santigold) and will be released on April 19, via Columbia. It follows 2015’s ‘Tell Me I’m Pretty’, which earned the group a Grammy for Best Rock Album. 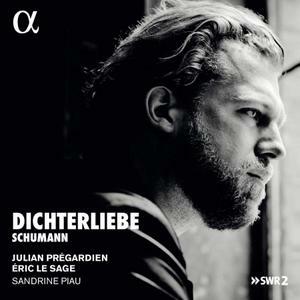 Julian Prégardien decided to record the Dichterliebe cycle after he came across the new Bärenreiter edition; he went on to explore the work in concerts with his constant accompanist, Eric Le Sage, inserting other works by Robert and also by Clara Schumann, whose bicentenary is celebrated in 2019. When Clara played the Dichterliebe in the 1860s, she used to slip extracts from Kreisleriana between the songs. Prégardien asked Eric Le Sage to record the same extracts on a Blüthner piano of 1856, the year of Robert’s death, and also to include Romances composed by both Robert and Clara at a time when their future marriage was still uncertain. “Right after God comes my Papa.” These were young Wolfgang’s words of praise for his father Leopold Mozart. 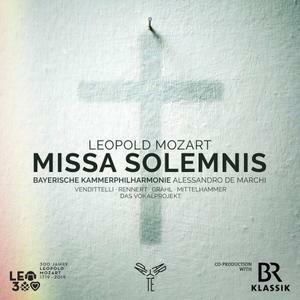 2019 is the anniversary of Leopold that Aparté celebrate with a gorgeous recording of his Missa Solemnis. In response to the 2004 debut album, which became an instant classic, Marc Collin and Olivier Libaux experimented with various musical paths. Many songs are thus recorded. The songs that are relevant to each album's theme are released. But many covers would remain under wraps, while others, although ready for release, were relegated to the vaults. These previously unreleased recordings are featured on "Curiosities". 2004 - 2019. 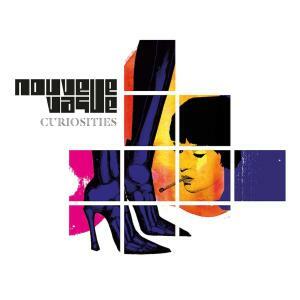 For the last fifteen years, Nouvelle Vague has been resuscitating, sometimes introducing, dozens of songs from the New Wave and Punk repertoires – some quite well known, others almost forgotten. But the story is far from over. 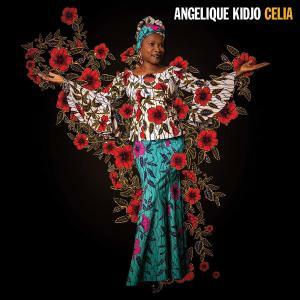 Angelique Kidjo reflects on an icon of the Americas, celebrated salsa singer Celia Cruz. Over ten tracks, Kidjo’s album Celia divests itself of the glamour to investigate the African roots of the Cuban-born woman who became the "Queen" of salsa, a music genre invented in New York by Caribbean immigrants. 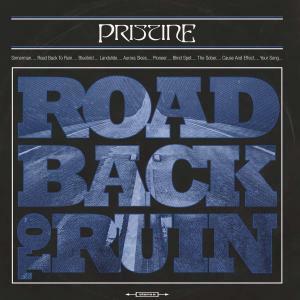 The fifth album from Norwegian band PRISTINE showcases the band’s consistent development and increasingly diverse influences. Heidi Solheim, the band’s lead singer and creative mastermind from Tromsø, spanned a wide musical and lyrical range to write eleven songs for »Road Back To Ruin« – the band and her voice are the album’s common threads.